For extended licenses please contact the designer. Exo is now a system of 54 fonts. All Free. 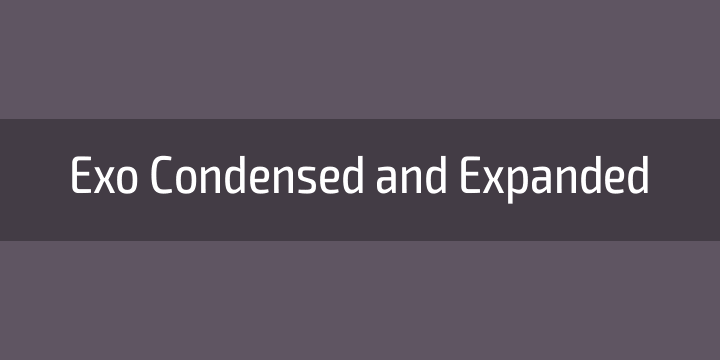 With Exo Condensed & Expanded the Exo type system just got even more versatile. The same technological feel applied in different widths gives you surprising new options to play with.